HomeDon’t forget. Cake Sale Monday at 3pm. Don’t forget. Cake Sale Monday at 3pm. 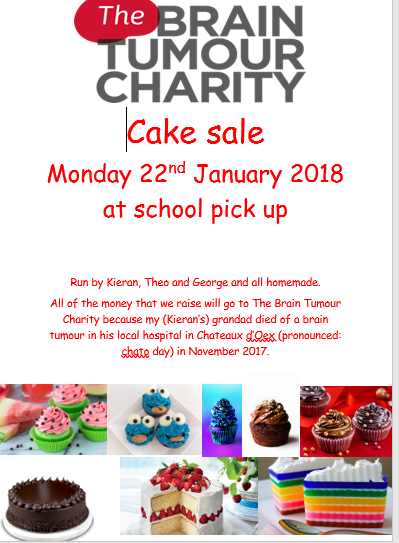 Three of our Year 5 boys have organised a cake sale on Monday 22nd at 3pm at school. They have been working hard on the advertising, baking and pricing. Remember to bring some money to school. All proceeds to Brain Tumour Charity.